Your engagement has likely been one of the most exciting times of your life. So, first and foremost, congratulations! Surely family members and friends will want to know all the details and plans (even if you haven’t made them yet), but don’t be afraid to tell them you’re just enjoying this special time together for now. When you’ve decided that you’re ready, we’ve compiled your very first wedding planning to-do’s! The more organized you are, the less likely something will go wrong. That means your first to-do is to make a list! 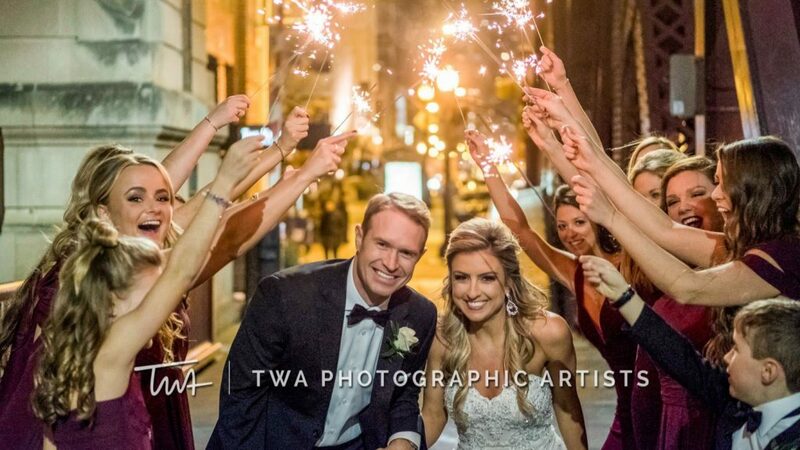 We recommend planners from websites like theknot.com where you’ll be able to keep track of anything and everything, from defining your wedding style to managing RSVPs and all the details in between. Once you determine your wedding date, start planning your tasks by month. There is no need to stress yourself out in the beginning by setting deadlines that might prove to be unrealistic—just start with the essentials. While we know that it may seem a little scary to try and get as much done as possible in the first few months, but that way the last few months won’t be as hectic. You’ll thank yourselves later—promise. Choose a day or two during the week when you’ll focus on wedding planning (or choose a time to do one or two things every day if you’re pressed for time). It’s also good to sit down together as a couple and plan. This eliminates confusion—i.e., one of you feeling as though you’re supposed to call and check on venues when the other’s already narrowed it down to what will suit their needs. Even if you’re just perusing Pinterest boards for real inspiration or finding local vendors online, clearly allocating time for wedding details can only help you in the long run. This is the best way to get things done. You and your partner should both be involved every step of the way. Make a list of details to be taken care of, then divide the list in half and choose what you each want to do—your partner may not be concerned with exactly which flowers you carry, and maybe you’re not picky about what your partner’s wedding party wears, but even though you have your checklist it’s better to over-communicate. If you’re sharing duties, you should also be sharing the details. It’s okay to take care of certain things by yourself but don’t neglect to tell each other about it so the caterer isn’t contacted twice. And when the planning gets tough, take a break from contracts and seating charts to create your official wedding website. It’s free and a fun thing to do if you can’t look at any more cakes for the day. Last but not least: wedding planning is stressful, so be flexible. Each of you is going to want things the other doesn’t care for (or care about), but flexibility is a must, so be willing to bend. If you really object to something, let your objection be duly heard and noted—and have a good reason for it.